The Grace Company has a long-standing tradition of excellence in the quilting industry, and many people have chosen to use our products to create gorgeous quilts. Having access to the best quilting machine available will help any quilting enthusiast to make professional-grade quilts from home. 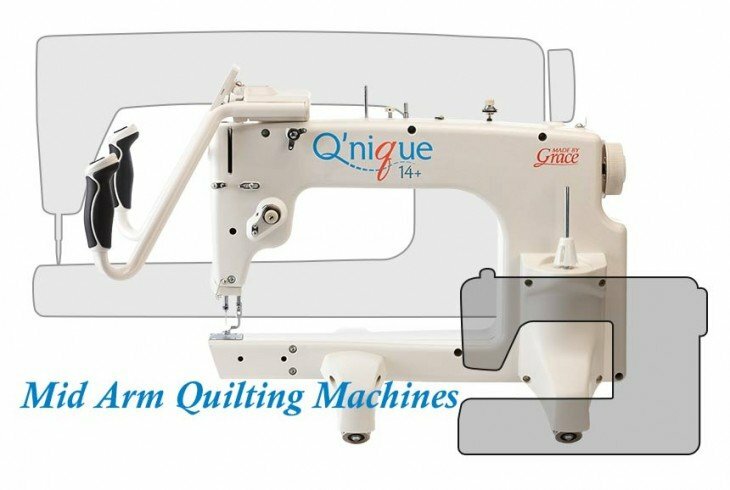 When you are looking for the best quilting machine available, you may be wondering if the popular Q'nique 14+ or the new Q'nique 21 by The Grace Company is a superior option. Taking a closer look at both of these, you can make a buying decision that is right for you. With the Popular Q'nique 14+ there are some great benefits. Such as the SureTrack glide system known for i's smooth tracking and increased control of the quilting machine. The 14+ reach allows you to use 10" to 13" designs with ease. This quilting machine also has built-in stitch regulation to help you to get professional-grade stitch quality. There is also a 1.18-inch LCD screen , LED needle lights, dual-cone thread holders, a built in bobbin winder, and more. Everything about this machine is designed to make it easy for the quilter to create a truly professional-looking project. 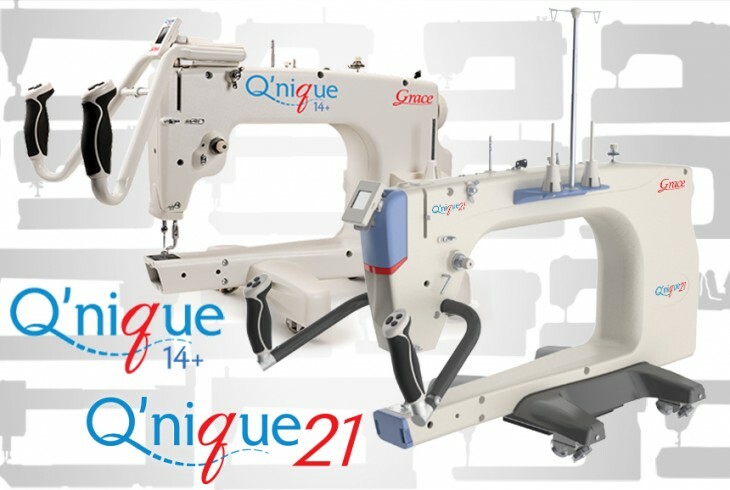 Like the Q'nique 14+, the Qnique 21 has all of these same features that are designed to yield professional results and that make the quilting process convenient and easy. However, the Q'nique 21 has additional features that enhance the quilting experience even further. These includes features such as the wider throat space, allowing you to use 15" to 18" designs, adjustable handles for better comfort and control while stitching. Our new patented hopping foot is positional, for optimum visibility of the needle. Easily switching the hopping foot to either the side or the back of the needle according to your preference. When looking for a quilting machine that is just right for you The Q'nique 14+ or the Q'nique 21 by The Grace Company is the best quilting machine for your quilting needs. When deciding which product is the best quilting machine to use, it is important to find the right machine for your specific needs. For example, if you do not need the extra throat from your quilting machine, the Qnique 14+ may be ideal. 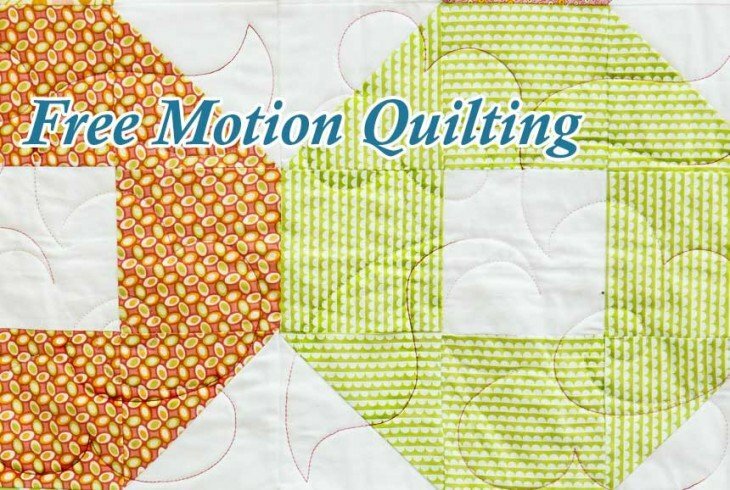 If you want to quilt larger blocks or patterns, you may opt for the new Qnique 21. As you compare the options and make a decision for yourself, focus on how you would use each of the different features to your benefit to determine which product is best-suited for your quilting activities.